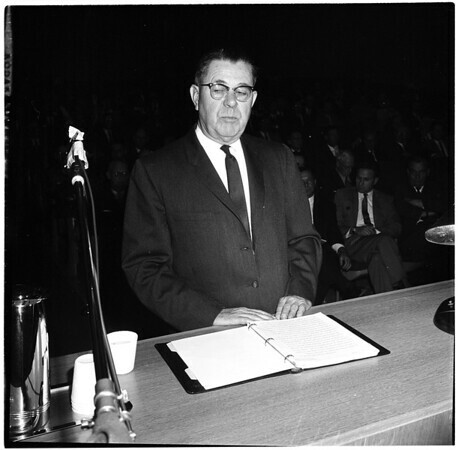 Smog hearing at Board of Supervisors, 1961. Supplementary material reads: "The Air Pollution Control District, created as an agency to protect the public from the growing menace of air pollution, has consistently fought to maintain rule 62. Today, they ask for its extension. Stamp out smog wishes to go on record in vigorous support of the district's request to extend rule 62. We strongly urge the supervisors in the best interest of public health and welfare to grant this extension"